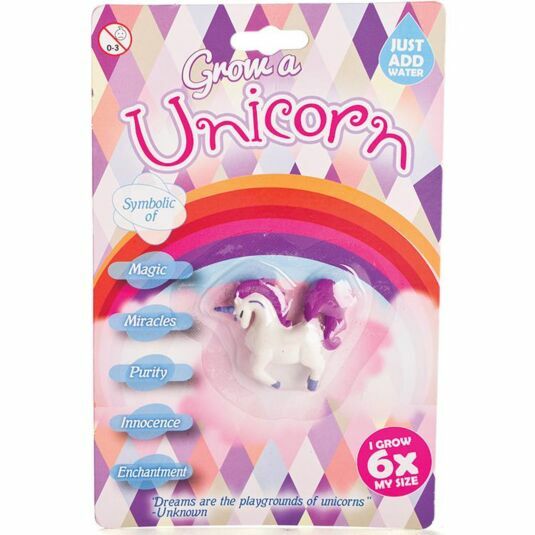 This ‘Grow a Unicorn’ is a fun and adorable way to keep your own pet, without having all of the mess and responsibility! 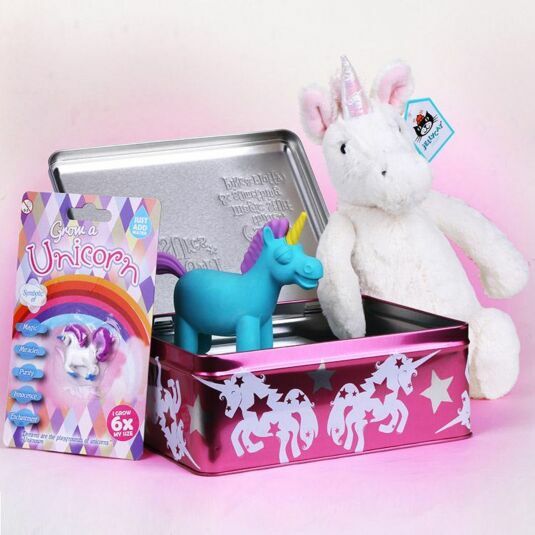 The unicorn has a white body, with a purple main along with blue horn and hooves. Simply place the unicorn in room temperature water and watch it grow. It will start to grow within two hours and will be full size in seventy two hours.When removed from the water it will shrink back to its original size – you can grow your unicorn again and again!